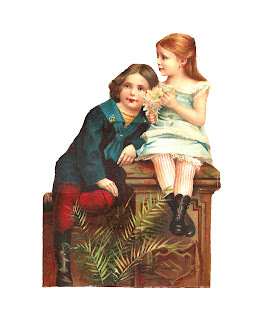 This is a lovely Victorian scrap of a girl and boy sitting on a stylish bench. Aren't they adorable in their finery? 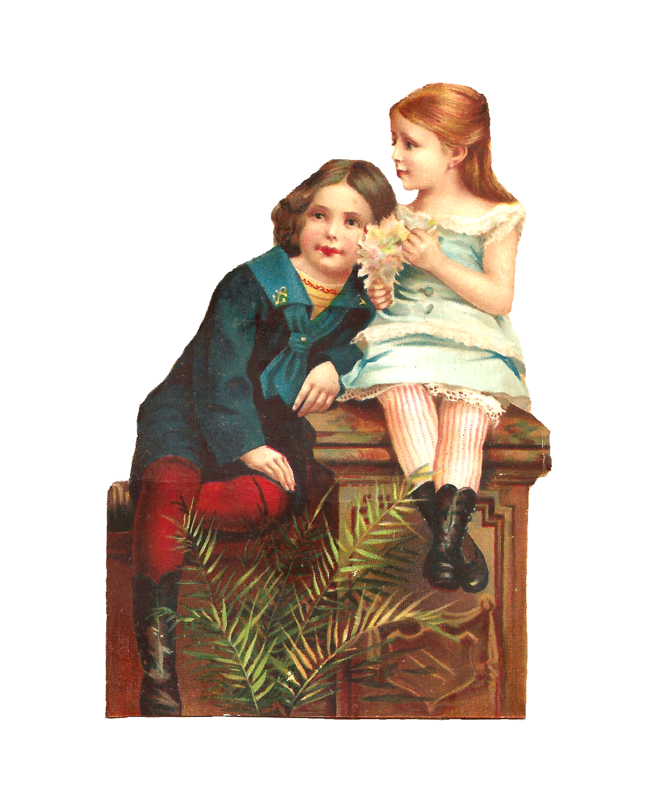 I love the red and white striped tights the young girl is wearing! And, the deep blue of the boy's outfit is gorgeous! I hope you enjoy!